Share Captain Morgan’s view on football with packaging and serve ideas! Captain Morgan is a famous rum brand, but he was also a real character! Captain Morgan was an irreverent and mischievous buccaneer. A Welsh soldier, he left Britain in 1654 to settle in Jamaica. This subtle, sweet rum was named after him and the brand Captain Morgan is now very popular in many countries around the world. 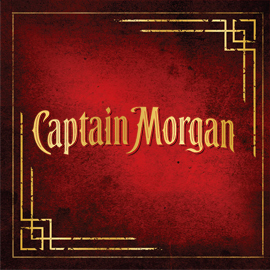 People naturally connect to the character Captain Morgan and his spirit of clever thinking, mischievousness and camaraderie – particularly men aged 18 to 24. Captain Morgan is a party starter who likes to be with his crew and hijack events, all in the pursuit of legendary times. He is a leader of men and making sure his crew has a good time is at the heart of everything he does. Embark on Captain Morgan’s ship and make football an adventure. To mark the football season, design a Captain Morgan value added item to go on existing Captain Morgan bottles in supermarkets, or a limited edition Captain Morgan serving vessel that could be used in bars.Your ideas must be original and something that only the Captain could do. Format: Presentations with pictures or illustrations and text (Only in PDF). This contest will end on August 06th, 2013. If you have any question, do not hesitate to drop a message on our discuss tab.